Recently, I took a birthday trip to New York City — my first visit to the Big Apple in nearly ten years. This time around, I finally had a chance to visit the Manhattan neighborhood of Chelsea. And I discovered that it’s a place filled with interesting contrasts, thanks to its gritty industrial heritage and creative modern art scene. 1. Take a walk in an urban park. 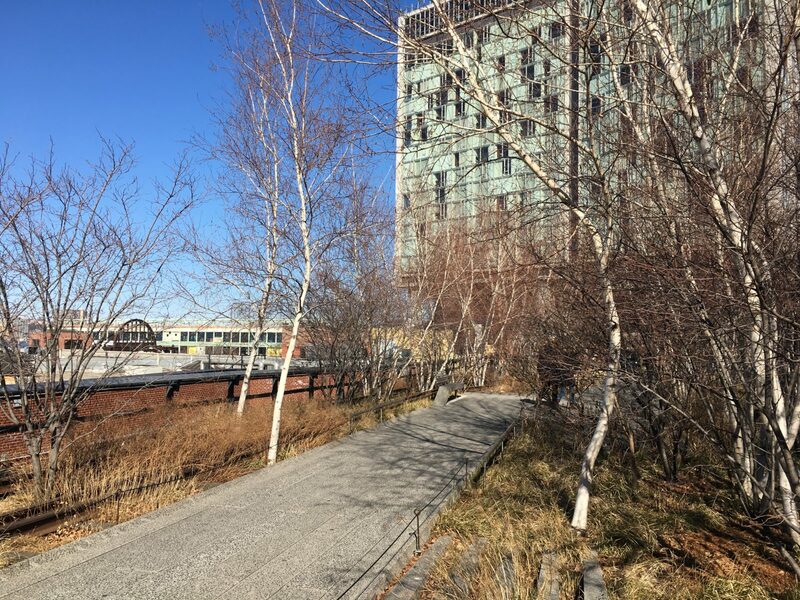 I really enjoyed strolling along the High Line, a trail along an old elevated rail line. 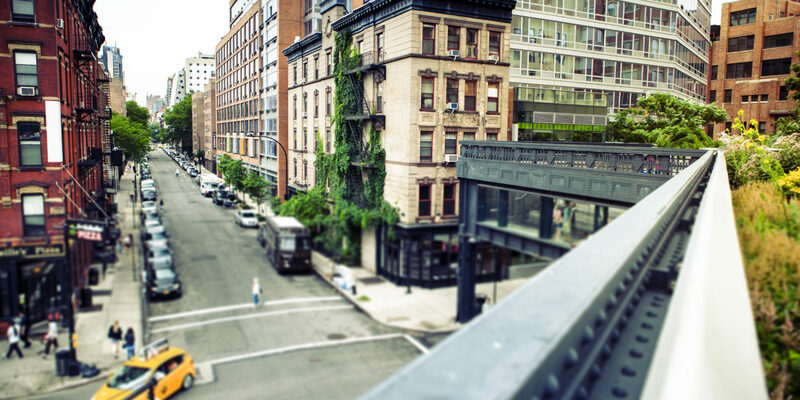 The landscaped walkway begins at Gansevoort Street in the Meatpacking District and runs nearly a mile and a half north through Chelsea to 34th street. Along the way, you’ll find gardens, art installations and scenic views. It’s also easy to hop on and off while you’re exploring the surrounding neighborhood. The park especially shines in the spring, summer and fall, when blooming flowers and colorful foliage put on a show. But when I visited, the bare trees and wintry weather seemed to match the mood of the trail’s historic industrial surroundings. 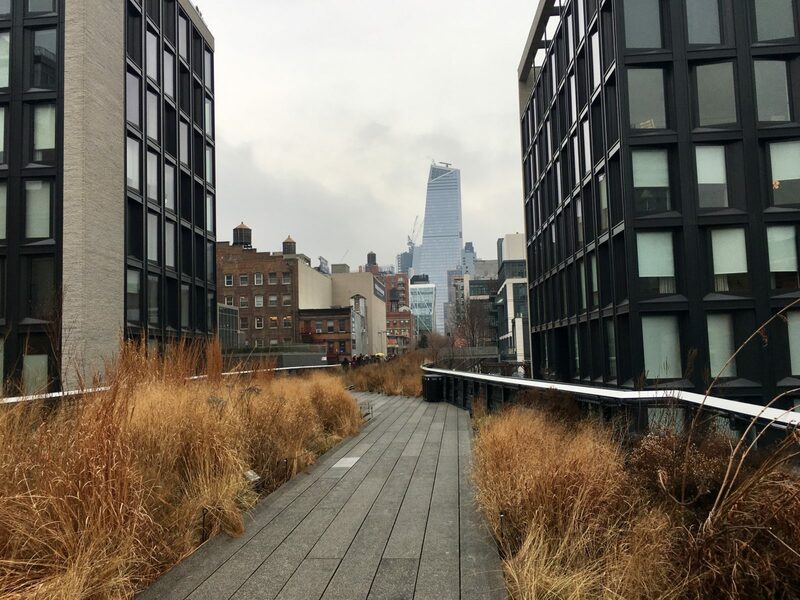 It made me appreciate how cool the High Line truly is — transforming something old and outdated into a one-of-a-kind new community space. 2. 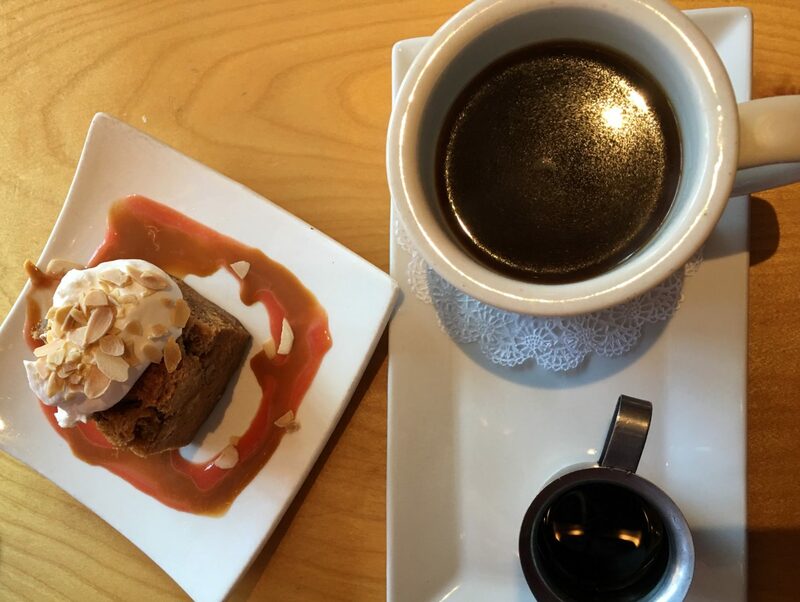 Brunch your heart out. No NYC weekend is complete without brunch, so I snagged a table at Fonda, a contemporary Mexican restaurant on 9th Avenue at 21st Street. The décor was colorful and comfortable, the music was lively and the service was attentive. From my seat by the window, I enjoyed people watching while I dug into Latin-inspired breakfast cuisine. I ordered a tasty scrambled egg dish with Chihuahua cheese, while my brunch buddy was a huge fan of the chili-marinated chicken sandwich. And since it was my birthday, I opted for dessert — specifically, a delicious brioche and banana pudding with guava sauce. So good, you won’t even mind going for another stroll on the High Line just to walk off those calories. If you’re a fan of brunch libations, you can also order a frozen rosalita, margarita, mimosa, Bloody Mary or beer. Or take advantage of the brunch special that includes an entrée and free refills of the aforementioned beverages for an hour and a half. Just don’t forget to make a reservation! Chelsea Market is an indoor food hall and shopping complex by the High Line, between 15th and 16th streets. 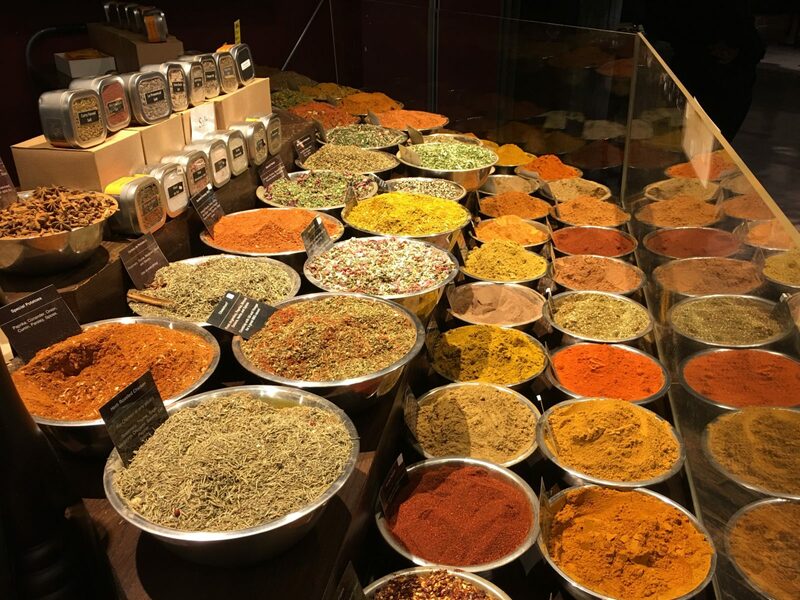 The market’s biggest selling point is its massive array of culinary options, from crepes to sushi to chocolates. I was a bit overwhelmed by all the choices, so I ended up just wandering around and sampling a few different treats. The heavenly brownies at Fat Witch hit the spot, but my top discovery was the halva at Seed + Mill. This Middle-Eastern delicacy is made from tahini and sugar, and at this particular vendor, it’s gluten-free and kosher. 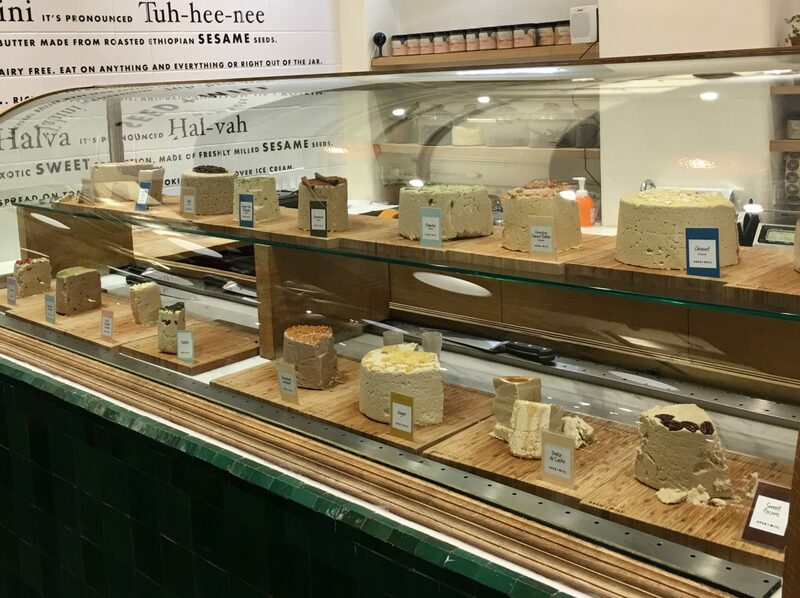 I tried the ginger halva and it was delightful – light, sweet and soft. Think fudge, but fluffier. If I hadn’t planned to trek around the neighborhood the rest of the day, I would have bought an entire block of it. Go hungry — and go in the afternoon or evening for the best selection. Lots of merchants don’t open till lunchtime. 4. Explore the world of fashion. Take a break from perusing contemporary galleries and delve into a different kind of art: fashion. 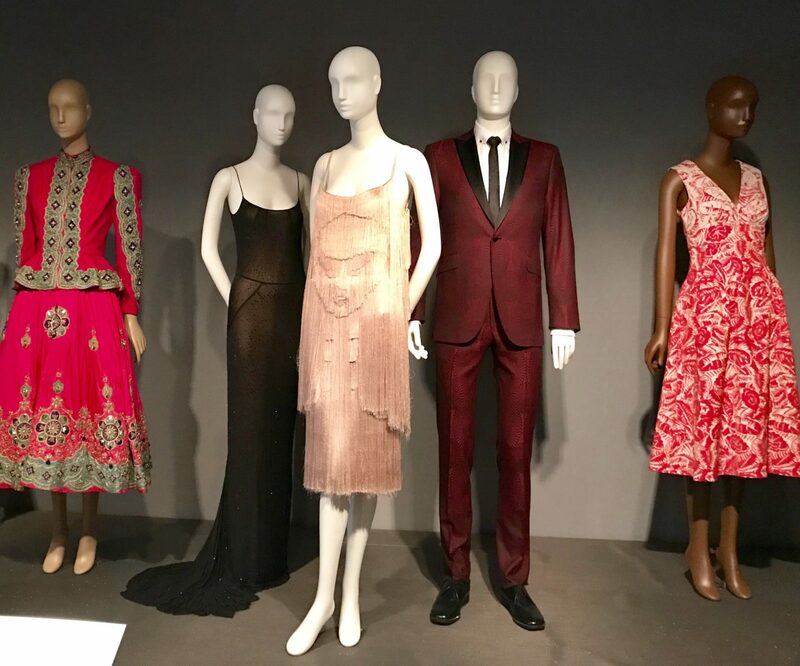 The Museum at the Fashion Institute of Technology features rotating exhibits that give guests a fascinating glimpse into diverse history of clothing design. Even better, admission is free! When I visited, the museum was hosting an exhibition called Black Fashion Designers. The collection showcased work from designers from the 1950s to the present. I enjoyed learning more about each artist’s inspiration and challenges as I admired pieces like the CD Greene-designed Swarovski-crystal mini-dress worn in concert by Tina Turner, and a Laura Smalls shift worn by Michelle Obama. Signage and videos provide context to the exhibit, but you can also download an audio tour on your phone. 5. Savor a New York-style bagel. Stuffing my face with fresh baked goods was near the top of my NYC to-do list. 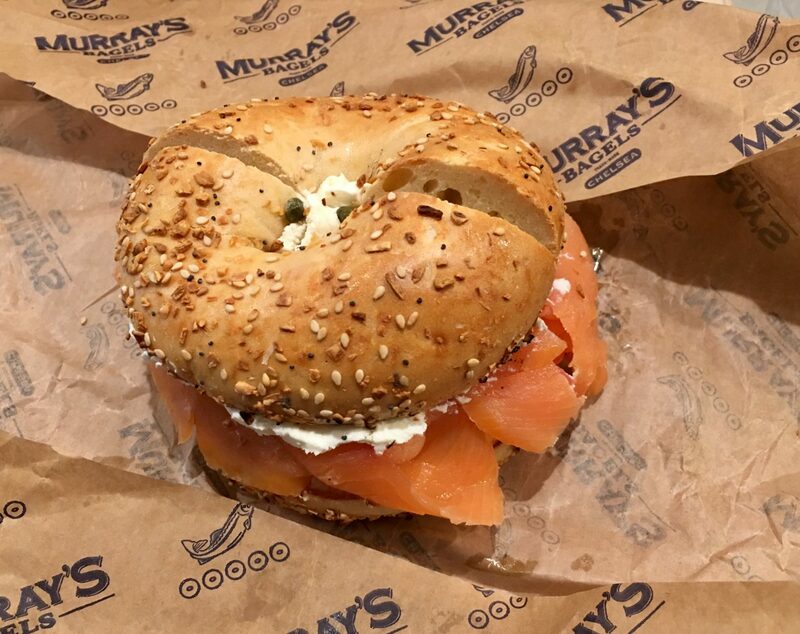 So I couldn’t resist heading to Murray’s Bagels on 8th Avenue near 22nd Street. This charmingly no-frills bagel shop serves up fresh, hand-rolled, kettle-boiled bagels. In my opinion, they’re the perfect balance between crispy and chewy — although the employees will toast your bagel if you ask them to (don’t do it!). I decided to try their traditional sandwich: Nova Scotia smoked salmon, cream cheese, tomatoes, red onions and capers on an “everything” bagel. It’s an iconic combo of ingredients for a reason; all the flavors blended together to create a filling, satisfying, savory lunch. The shop also serves La Colombe coffee — and I was grateful to warm up with a hot cup of joe before venturing out into the chilly weather for more Chelsea adventures.